A Golfer’s Love/Hate relationship with the driver is an addictive and obsessive trait, yet there is no relief in sight for the foreseeable future. 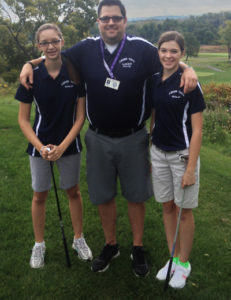 These drivers will definitely, maybe positively, get you to the “Magic” driver! The T9S Titanium face is thinner and hotter for maximum distance and deflection. The club’s adjustability with its 5-lobe hosel sleeve, allows±1 degree of loft adjustment. Callaway has another big hit on their hands with this driver! 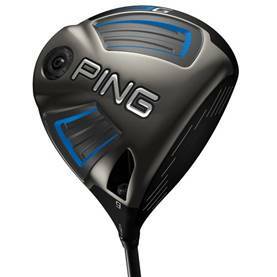 It is the bestselling driver this year so far. It is an absolute dream to hit. Not only does it perform, but the Boeing involvement has certainly made an impact both on sales and performance of this club. Callaway worked with the aerodynamics experts at Boeing to redefine what’s possible with ball speed in a deeper face. To make it faster, Callaway put in the distance technology from their completely re-engineered face and a lighter Speed Step Crown, and Boeing helped in creating the most aerodynamic head shape ever produced at Callaway. Combining lower spin and a more neutral CG bias into a 450cc head, the results were far better than expected. This is a remarkably fast and forgiving driver for players who already get a lot of distance off the tee. This thing is fast like you wouldn’t believe, with a high speed head and lower drag in the crown that, as you can guess, is going to add some serious ball speed. It’s forgiving with more MOI, a Speed Step Crown, and a Center of Gravity that’s lower and deeper. Callaway’s next generation R*MOTO face is also lighter and thinner for more speed all across the face. And, of course, you can choose from a great selection of shaft options to fit your swing speed. 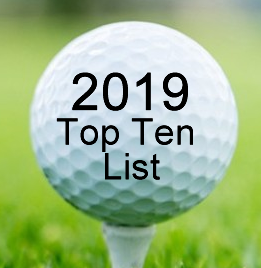 I suggest that using Callaway’s new Chrome Soft balls with this driver, especially for higher handicappers, will bring you a large smile and more distance to your game. 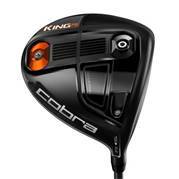 Over the past few years Cobra has made a considerable dent in the driver category. Not only are their products great performers, but their use by Ricky Fowler has certainly helped Cobra gain traction.Their current lineup of drivers is threefold – the KING LTD ($449.99), King F6 and the KING F6+ ($399.99).All three suit a specific type of golfer. 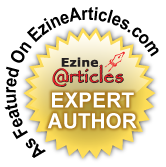 The focus in this article is the KING F6, specifically. This is Cobra’s most forgiving adjustable driver with CG tuning. The forged Ti8-1-1 Titanium face, featuring the dual position ‘front-to-back’ CG weight system, allows you to maximize distance through dialing in your ideal launch and spin conditions. This model allows you to personalize your distance. It would not be outlandish to say that no other all titanium adjustable CG driver delivers this combination of distance and forgiveness in every shot, as the KING F6 offers. It is offered with lofts of: 9.0º, 9.5º,10.5º, 11.5º and 12° and with draw settings of 9.5°,10.5° and 11.5°. The Matrix Red Tie 60Q4 graphite shaft is available in Lite, Regular, Stiff and X-Flex. Looking for a great driver at an affordable price? 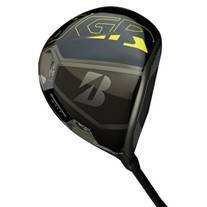 Look no further than the new Bridgestone JGR Men’s Driver. 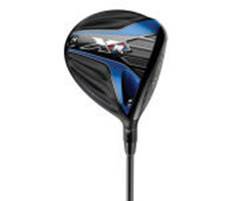 This driver is designed to improve launch and ball speed with a crown that is thinner in the front, which allows the face to slightly flex at impact, thereby enhancing rebound above the center of the face.The460cc F.A.S.T. (Flex Action Speed Technology) Crown Design allows for increased ball velocities and higher launch angles. Bridgestone’s speeDARC Technology provides an incredibly stable base, leading to the fastest ball speeds and highest launch angles on a driver currently being sold. It is the ultimate combination of low spin distance and added forgiveness on off-center hits.Also noticeable is the milling pattern on the face. Bridgestone designers wanted to reduce the amount the ball slides up the face, thus reducing spin. They also used a new vertical milling pattern on the heel and toe areas to help mis-hits.The milling lines are also closer together and rougher at the bottom of the face to help those shots hit low that tend to produce more spin. An adjustable-weighting system allows golfers to adjust the driver to hit a draw and launch the ball lower and higher.The driver uses the Aldila NV 2KXV Orange driver shaft and is available in 8.5°, 9.5° and 12°. Bridgestone makes a phenomenal line of golf balls. 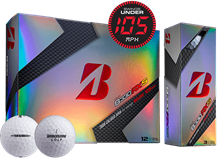 If you are looking for a general all around wonderful performing ball, look no further than the NewTour B330 RXS model, especially if your swing speed is under 105 miles per hour. With unparalleled distance, the 330 seamless dimple design urethane cover ensures greenside spin and control that players can count on. Adjustability is here to stay, shafts and balls are continuously being developed to increase distance and feel, and new metal for driver heads is constantly changing. Golfers primarily focus on distance and the manufacturers will cater to their quest for the longest driver. 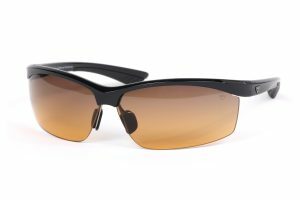 This entry was posted on Sunday, June 5th, 2016 at 5:50 pm and is filed under Golf Equipment Reviews. You can follow any responses to this entry through the RSS 2.0 feed. Both comments and pings are currently closed.